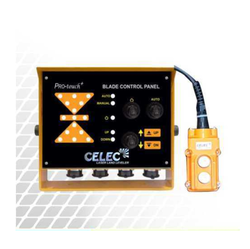 Leading Manufacturer of leveler blade controller from Ludhiana. We offer Leveler Blade Controller. Waterproof dustproof temperature proof to work all weather. Housing made from LM-6 aluminum, rubber, and high impact plastic. Overvoltage and DC polarity protection.